Welcome to Bob Woolmer Sales’ blog. As a company we like to engage in a personal relationship with the schools we supply & because of this we employ Area Reps to give our company a friendly face in the big wide world. I plan to introduce our Reps in a future blog to help you (if you are new to our company) find your best contact should you wish to get in touch. Having embraced Twitter & Facebook quite recently we hope that this will also become an easy way for you (the lovely public) to contact us. I do, however, digress as I would like to make our first post a delve into our history to give you an idea of our background & where we have come from. 31 years ago in 1982 Bob Woolmer owned a sports shop in Tonbridge High Street. He asked a (very) young James Wattenbach to help him run the shop. Bob & James travelled the country together with a car full of cricket stock selling to whichever cricket club would entertain them. The shop thrived with this savvy duo & another side to the business was discovered: selling to local schools. This side was nurtured & the shop continued until 1988 when Bob decided to sell up & move to South Africa with his family. Bob Woolmer Sports was then bought by a local retail group Sportique. It was at this point that James started his breakaway company allowing him to grow the schools business that had started to develop & here Bob Woolmer Sales (as you know it) was ‘born’. Bob Woolmer Sales has had many ‘homes’ in it’s time but we have always been based in & around Tonbridge. 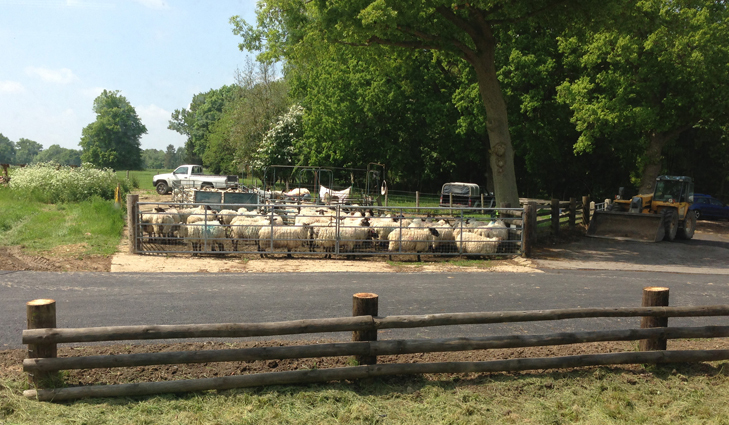 We are now lucky enough to have our office & warehouse on a farm in Hadlow. Here we enjoy the view across an ever changing neighbouring field, observing the unpredictable British weather & the odd sheep! The observant among you will have deduced that it is our 25th anniversary this year & indeed it is. Thankfully Bob Woolmer Sales is still going strong & growing from year to year. Over the years we have evolved our stock to supply not just those requiring cricket equipment but to include all sports. We also have a large range of clothing that we can supply including personalisation. We hope to post regularly on this blog with at least one new post a week keeping you up to date with the company, it’s staff & any special offers we may be running. We also hope to receive feedback on our posts & if there is anything you would like us to cover please let us know. This entry was posted in History and tagged Bob Woolmer, Cricket, Facebook, Hadlow, Social media, South Africa, Twitter.